Inspired by the elaborate necklaces of the Xizhou dynasty,(1046-771 BC) I have come up with my own modest strand using beads and pendants from early periods of China's civilization. 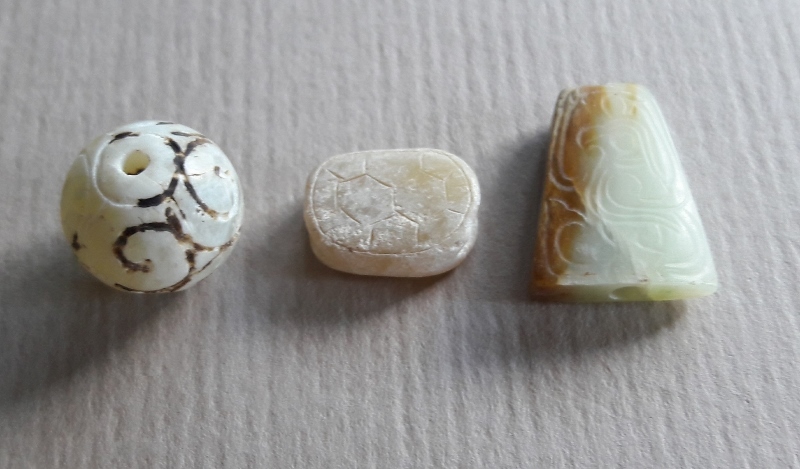 Patina, toolmarks and carving style on these beads and pendants (silkworms, phoenix, turtle shell, disc etc) point tentatively to Shang - Xizhou period (1600-771 BC) and later. 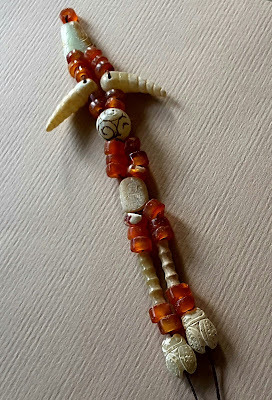 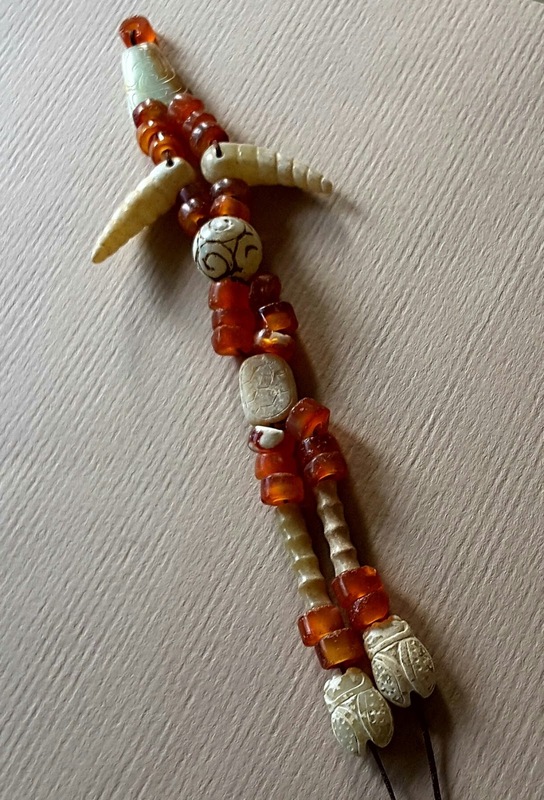 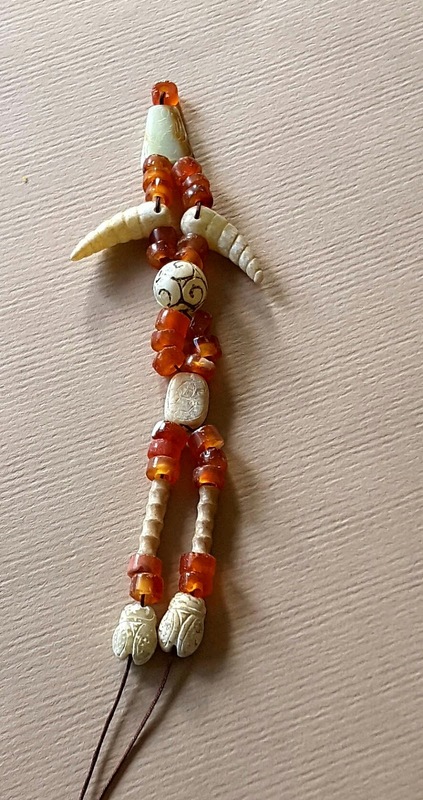 The strand is made up of a trapezoidal jade bead, 2 silkworms, a spherical carved bead, a bead of turtle shell carving, two bamboo shape tube beads and a pair of cicadas interspersed with small carnelian disc beads. Details of the components given below. 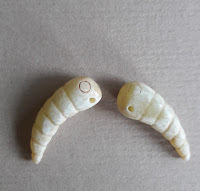 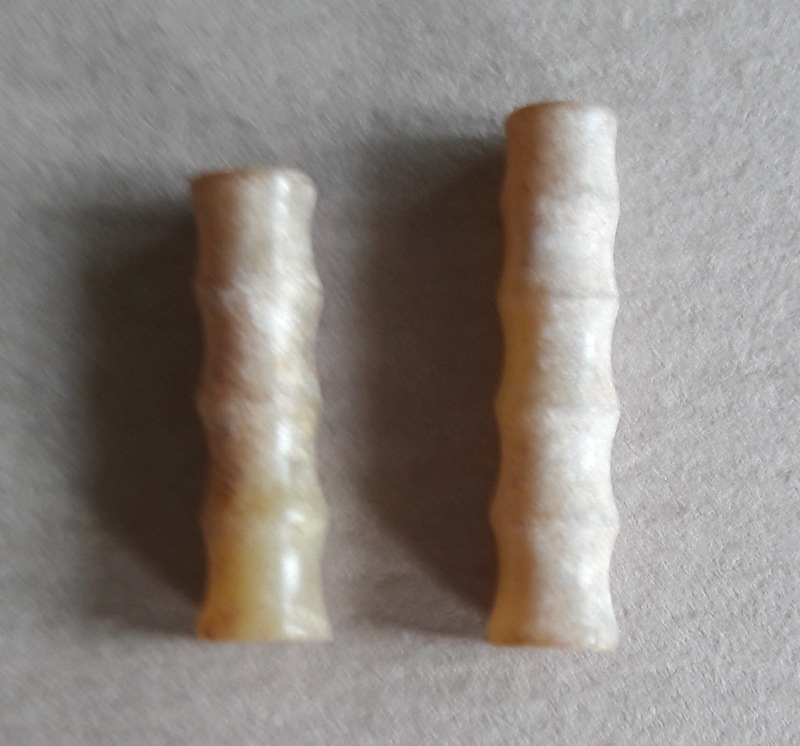 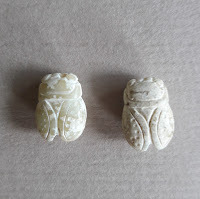 Next is a pair of silkworm pendants the left worm is 3 cm and right is 2.8 cm. 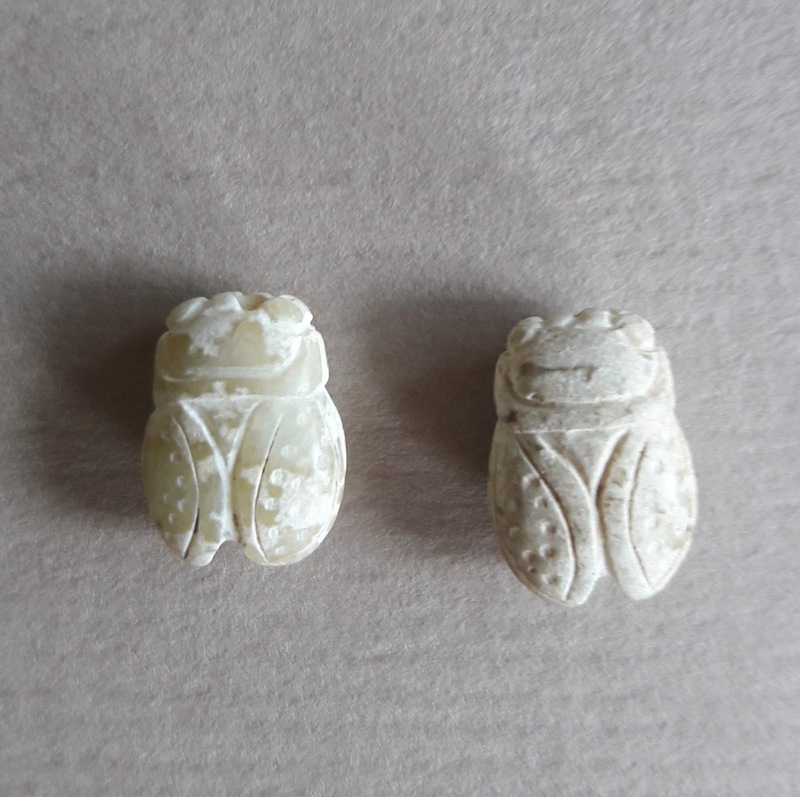 Pair of cicadas measures approximately 1.5cm x 1.2cm and likely to be later than Xizhou period. The carnelian disc beads used as spacers are the hallmarks of many Xizhou necklaces. 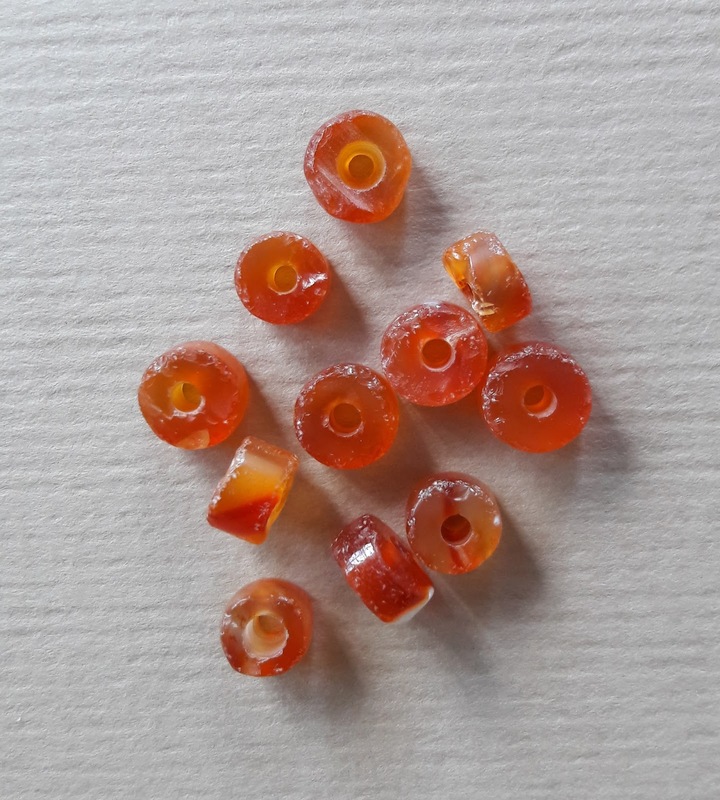 These red discs also add a touch of color to the otherwise somber hues of my string.